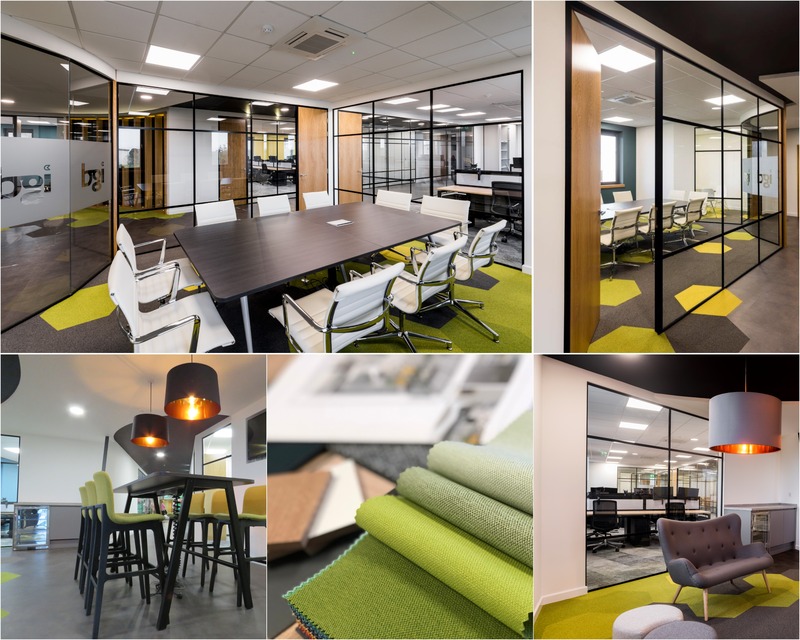 Our client wanted an impressive, visually impacting office environment to provide an inspiring and modern place to work with the ultimate aim to attracting new employees.We focused on design, space planning, full fit-out and furniture installation of the new building. Building Interiors delivered a full Fit-Out project consisting of meeting areas, departmental offices, collaboration area, chill-out zone and break-out area. The scheme included ceiling details, architectural glass, feature walls, re-sprayed aluminium windows and bespoke joinery items. All Furniture had stunning black metalwork and earthy colours to create a timeless design. Interior Goods Direct had newly acquired the Unit and before the Fit-Out could begin, Building Interiors stripped out all the existing partitioning, ceilings and flooring before delivering the scheme in full. A well-designed office is the key to an efficient workplace. Our experienced team, including our in-house designers, will spend time with you to understand your business and space requirements. We use the latest technology to create detailed plans and CAD 3D visuals so you can see your new office plans come to life. Here at Building Interiors we have vast experience in producing flawless design projects of all sizes. We get to the heart of your business to help bring your office space to life. To find out more about our creative process, check out our Office Design page. We take you through the three key stages; feasibility study, conceptual proposal and detailed design. It’s been a pleasure to work with Building Interiors. The design, project management and building team were fantastic. It’s great to have the peace of mind in leaving it all to your team, allowing us to concentrate on the daily business needs.